These days, it's always a scramble. 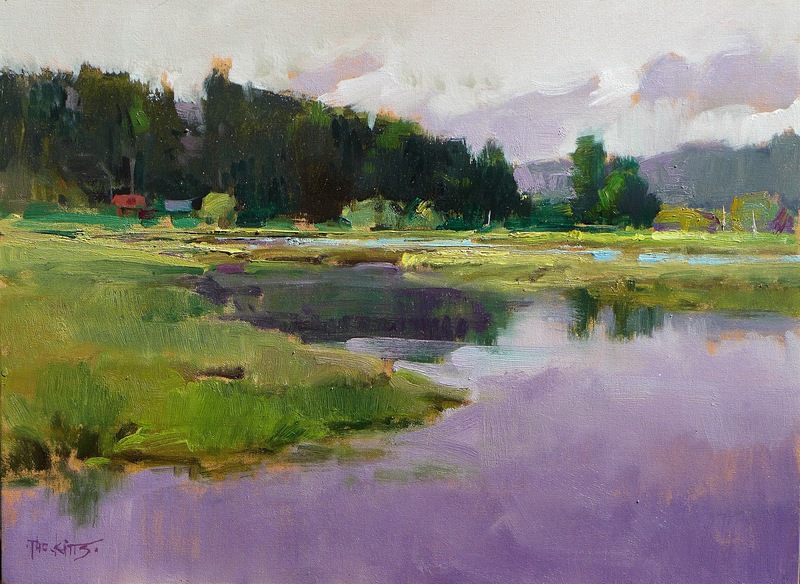 You get home from one plein air competition and say hello to your family. 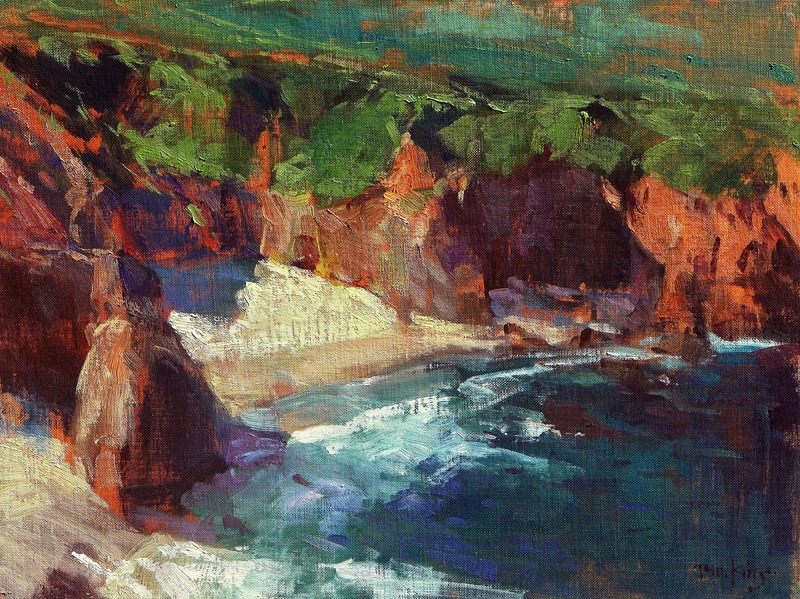 You go out and paint a few new paintings, and then submit the best ones to one or two online competitions – LPAPA, OPA, AIS, CAC, or others – and then you turn around and send some more paintings off to another. Then you bundle up a couple of paintings into a blanket, toss them in your car, and drive six hours (round trip) to drop them off at a new museum opening up in two weeks. And then, if the weather holds, you paint a couple more as you wend your way home again. You say hello to the family again. Then you get on another plane to go to another competition. 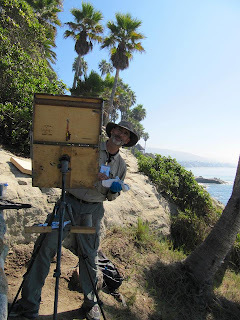 For example: last week I learned that one of my submissions had been accepted to the Laguna Plein Air Painters' Association's yearly big show (The Best Of Plein Air). At least I think it was accepted. I didn't receive an official announcement telling me this, I saw someone's post on Facebook saying the judging was over. So I visited the online submission site to see if I was in. (Which submission site was it again?) And yes, by golly one painting had been accepted. Cool! I assumed that was all there was to it – one painting out of three submissions, and mentally flagged a delivery date, and went back to painting in between the scrambling. Today was the shipping date so I pulled out the painting and a frame and started wiring things up. I began nice and relaxed after a leisurely lunch, feeling no hurry. But because I still had not received an official notification I called the Executive Director of LPAPA for confirmation. heck, there's no point to shipping a painting that wouldn't be hung, right? Good thing I did. She told me I had two paintings accepted – which was news to me! So now I was scrambling again. I had to get my two paintings photographed, framed, wired, and labeled, wrapped, and out the door to the UPS man, who was picking up parcels in 30 minutes. And let's not even mention the fact there was a 4th of July and a weekend between now and when the paintings were supposed to arrive. No exceptions! Then I remembered the show was going to be hung in a Costa Mesa gallery where the host and owner runs a massive framing operation on the other side of the wall. I could send my paintings down naked and he could frame them for me. One brief phone call later (Thank you Terry!) I was out the door to the UPS store with the raw paintings in hand. A short $60 later I was happy to know everything was being handled by people I trust. A complete workflow I was no longer in charge of. Hey, I could go back to painting. The Best Of Plein Air 2013 exhibition opens at the Randy Higbey Gallery in Costa Mesa on July 13th. I'd love to be there but can't. 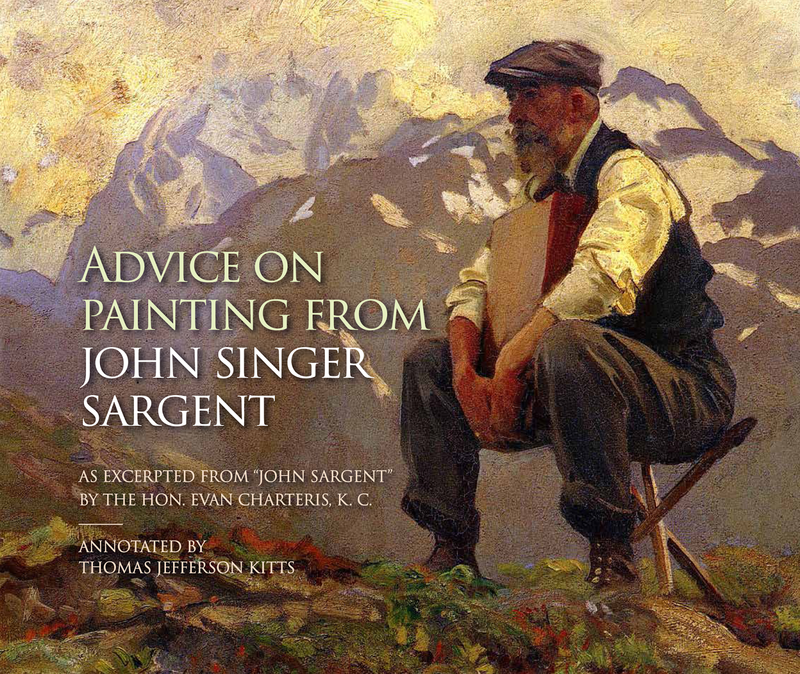 At 4:00 am that morning I'll be scrambling onto a plane flying out to Washington DC, where I'll then cross the Chesapeake and be off and running during the next two weeks, painting for the largest plein air event in America: Plein Air Easton. 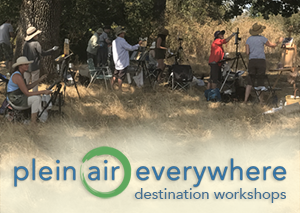 My Portland-area Plein Air Workshop is now filled. 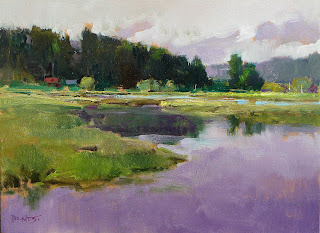 There are ONLY four spots left in my Columbia Gorge Plein Air Workshop at the end of this month. If you want in email me now! I don't know how you keep it as organized as you do. It makes for an impressive life dance.